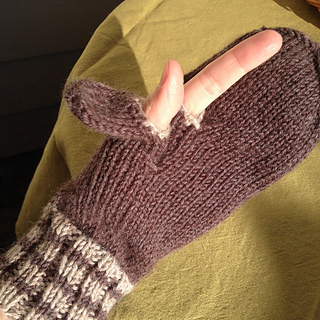 When I made this pattern years ago, I only made a hole for the index finger on the right hand. That was the kind of camera I had back then. 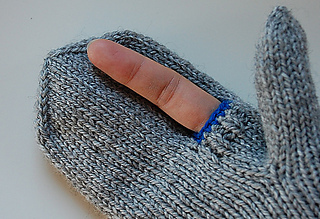 A friend of mine asked for more advanced mittens, as her camera had buttons “all over itself”. 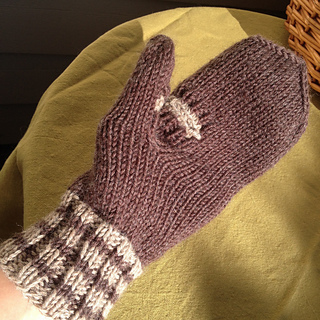 She got advanced mittens, but I never posted the pattern for it. Until now. 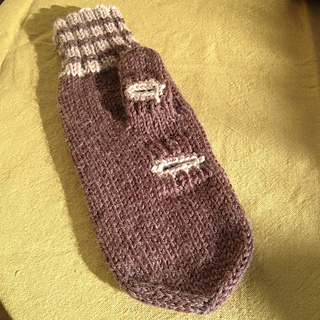 I usually make stripes or at least a round of contrast colour at the cuff. Leave it out if you don’t like it. It has a purpose though. When traveling with friends (who all got photographer mittens for christmas), it’s nice for everyone to have their own special colour at the cuff..